Because of the overwhelming research, and our advocacy for infants and toddlers, Attachment Parenting International (API) is in full support of strong parental leave policies for all nations, similar to those in many countries around the world. Sweden’s policy is probably one of the most generous, with 480 days of paid parental leave. Barbara Nicholson, MEd, API Leader, and Lysa Parker, MS, CFLE, CEIM, API Leader, are the cofounders of API and coauthors of the award-winning book, Attached at the Heart. They continue to serve on API’s Board of Directors. Lysa is the mother of 3 grown children, has 4 grandchildren and lives with her husband near Huntsville, Alabama, USA. 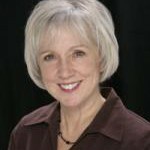 She served as API’s executive director for 13 years and continues to work closely with API’s “Attached at the Heart” Parent Education curriculum. She has dedicated her life to improving the way children are treated. Barbara has 4 grown sons and lives with her husband in Nashville, Tennessee, USA. She continues to work closely with API on fundraising. She views parenting as a prevention model for societal violence. This quote was in reaction to the announcement that Netflix is offering up to 1 year of paid parental leave for its employees who give birth or adopt. 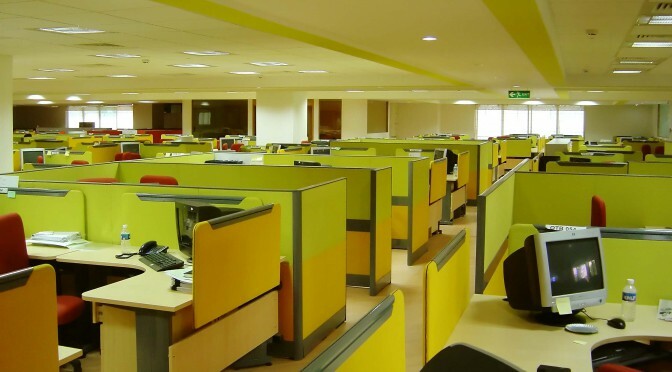 Of course, we rejoice at such progressive policies, but the sad truth is that few companies currently see the long-term benefit to their employees to instigate such policies. Until all nations have policies in place to ensure paid parental leave for all employees, we are amazed at the creativity and dedication of parents to find solutions that will keep their bond with their children strong. From tag-teaming work schedules to enlisting grandparents and other invested family and friends, and creating cooperative childcare with trusted caregivers, many parents are finding solutions to keep their attachments strong. Some parents obtain loans to stay home longer: Many credit unions and banks will give loans in support of a family need, just like they would finance a car! We feel so much compassion for these children who need consistency and trusting relationships — not a constantly changing cast of caregivers who may love children but who are also looking for higher paying jobs and less stress. We are amazed that even in the best university daycares, there is a large turnover every semester of childcare providers. There is such disconnect with the research and its application! 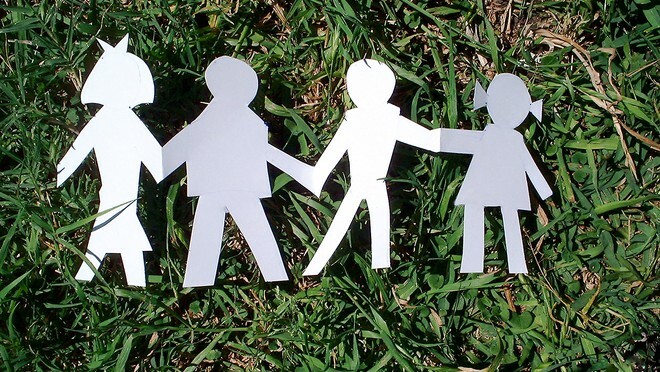 API Support Groups can be a wonderful resource for parents who do not have extended families nearby. Finding friends that have the same parenting values is another critical component in deciding on a non-parental caregiver. As we move into another election cycle, we encourage all of you to pay attention to candidates who seem to have a particular understanding and compassion for babies and young children, and strong supportive policies. A strong mayor or city council member can have a tremendous impact on community awareness and progressive policies. Look into your state’s policies, too, as they vary tremendously. You might be pleased to know that your state has stronger leave policies than your place of work, and you can stagger the leave of each parent, allowing for more time at home. Good luck to all parents who are looking for creative solutions! Talk to your local API Leaders, API Support Group members and Attachment Parenting families from around the world on API’s Neighborhood online forum for ideas, too. Perhaps the most critical decision parents face in their parenting journey is who will be the primary caregiver of their cherished and vulnerable new baby. For most parents over the centuries, this has been the role of the biological mother, but in the last 50 years, we have seen a huge cultural shift in the United States, with a larger percentage of mothers reentering the workforce with very young children. In 2006, 62% of mothers with children under the age of 6 were employed outside the home — in comparison to 11.9% in 1950. We begin with the premise that all parents love their children and want what is best for their physical, emotional, and spiritual development, and, when given the facts, parents can then make better decisions and come up with wonderfully resourceful ideas for their child’s care. psychological, intellectual, and moral well-being. caregiver in the early years. confirming what attachment theorists have been seeing for over 50 years: A baby’s brain, and even his DNA, is shaped by relationships. This was a stunning discovery only made possible with the modern technology of brain imaging and the mapping of the genetic code. problems as they get older, such as excessively aggressive behavior. Boys seem to be particularly vulnerable to long hours in daycare. Another key factor that emerges from this research is the importance of continuity of care in the early months and years of a child’s life. Until the child is old enough to verbalize his needs to his caregiver, it is critical for the caregiver to be in attunement with the baby so that his needs are met consistently and sensitively. Try to imagine what it must be like for a baby who is crying to be fed or picked up when the caregiver is overwhelmed with several babies needing the same thing. sympathy and often offered help in caring for her babies, yet in the best daycare situation, a 4-to-1 ratio is considered a manageable standard. Adding to this the low salaries daycare providers typically earn, is it any wonder that daycare employees have one of the highest turnover rates of any occupation? [API Advisory Board member] Dr. Isabelle Fox, in her book, Being There: The Benefits of a Stay-at-Home Parent, coined the phrase “caregiver roulette” to describe the high turnover rate of care providers in American daycare facilities. When a baby adjusts to the smells and voice of one care provider and then a new person comes in, he has no frame of reference and no comprehension of this new person, the new smells, or the new voices. When an infant experiences the frequent loss of caregivers, especially in the preverbal years, it can be emotionally devastating, and as a result, he may become insecurely attached or learn not attach to anyone. emotionally wrenching.” He warns that even in the best centers, the ratio for infants to caregiver is 4 to 1, and the toddler ratios can rise as high as 10 to 1.
emotionally from their babies, because it can permanently impact their growing relationships with their children. Instead, parents should treasure those early weeks of bonding with baby and get to know his personality, feeding patterns and what makes him unique. This will help a mother make better decisions about her baby’s care and create better communication with the caregiver. Dr. Brazelton is one of many professionals who continually challenge parents to take very seriously their children’s needs for consistent care. Parents must face the reality of the challenges of the childcare situation and, if both parents must work or in the case of a single parent, creative strategies can be used. Find out if employers offer a leave of absence; a parent may be able to return to work after a year or two without sacrificing their career path. Parents can explore a variety of economic and work-arrangement options that permit their children to be cared for by one or both parents at all times. For example, a family can consider ideas for cutting expenses, or they may be able to use financial assets they already have so that one parent can be home. Today’s workplace is increasingly flexible and family-friendly, providing employees with the opportunity to explore different work situations that best fi t their families’ needs. Some places of employment are getting creative and helping new parents with on-site daycare, or even allowing the baby to stay with Mom or Dad at their workstation, at least on an occasional basis. Some of these progressive companies include Marriott International, Microsoft and JC Penney. organizations — and they say this number is probably very low — in which employees can bring their babies to work every day. They have found that babies at work tend to be overwhelmingly content, primarily because their needs are met quickly and they are held much of the time by parents and coworkers. Mothers who take their babies to work are more likely to continue breastfeeding, and nursing on cue also keeps the babies happy and healthy. The Institute is devoted to expanding the adoption of these baby programs as well as explaining and promoting the attachment care principles that lead to success for businesses and for babies. Some parents are now telecommuting, or working from home. This can allow both parents to interact with baby during the day. Some employers allow parents to bring the baby to the workplace for breastfeeding or checking in. Working part-time, working as a consultant, working on limited projects or participating in a job share can all allow parents more access to their infant during the critical first year of life and beyond. Parents who attend API Support Groups often share their solutions for how they found ways for one parent to be the primary caregiver. Parents whose work situation does not lend itself to this type of flexibility have even more reason to practice Attachment Parenting. Being sensitive and responsive to the child’s needs and feelings, holding and cuddling can help parents and babies reconnect after being apart. For instance, parents that share sleep with their baby can have the extra touch time that they missed out on during the day. Infant massage is another way to reconnect in the evenings, and breastfeeding mothers find that pumping their milk while separated keeps up their supply so they can continue the nursing relationship when they are together in the evenings and on weekends. It is also important to realize that the caregiver will be an incredibly important attachment figure in the child’s life, and the parents may experience some jealousy. Keeping the lines of communication open is critical, and finding ways to keep the connection strong with your child while sharing this attachment with another caregiver is important to the health of your child and the success of this arrangement. It is extremely important to have continuity of care with a consistent, loving caregiver. The parent needs to make sure the caregiver is someone who makes the baby’s needs the top priority. Ideally, the caregiver will be someone who already understands the importance of attachment-promoting practices. When possible, choosing a family member, close friend or someone with whom parents have an ongoing relationship will reduce the incidence of caregiver turnover. In the case of a paid nanny, offer incentives up-front to keep her for at least the first 3 years if possible — perhaps a raise each year or other perks. Ideally the care will take place in the baby’s home environment. Parents should expect and encourage their child to form an attachment to the caregiver. They may consider introducing the caregiver to Attachment Parenting International‘s Eight Principles of Parenting and explaining to the caregiver how they want the baby to be responded to and cared for. Parents may want to consider providing the caregiver with a sling to carry the baby. Ideally, the parent will give the child time to get to know a new caregiver in the parent’s presence. Parents should begin the transition well in advance of any separation so that it is a gradual process and is comfortable for the child. Avoid “caregiver roulette.” Frequent turnover of caregivers can be very damaging to the attachment process, so if you are looking at daycare arrangements, try to find a program where the caregivers are stable and move up with the babies as they progress to the next age group. Minimize the number of hours in non-parental care as much as possible to provide the best opportunity for a child to build secure attachments with parents. Parents can find ways to reconnect with their children when separated because of employment. Try to spend some quiet time with your child at the end of the day rather than rushing to fix dinner or shopping. Planning ahead, perhaps cooking meals and freezing them, may give you more “down time” with your child at the end of the day. Parents can include a child in day-to-day tasks, and babies enjoy being in a sling and watching Mom or Dad do tasks around the house. Leave the child with a trusted care provider to whom the child is attached and who is familiar with, supportive of and willing to use Attachment Parenting principles. Respect the child’s feelings and follow his lead about his readiness to separate. Talk to older children about the separation. Accept that even older children have occasional difficulties with separation. Use creativity to help avoid unnecessary anxiety-producing experiences. For example, some parents have found that it is easier for a young child to separate if the child is picked up for an outing with a caregiver rather than the parent leaving the child at the caregiver’s home. When the child becomes verbal, she will be better able to handle separation, especially if she has a solidly attached relationship with her parents as a foundation. She will be better able to communicate her feelings, signaling her parents that she is ready for short separations, and also allowing parents to check in with her during those separations. So what are the essential experiences that an infant needs to set their primary attachment figure apart from their other secondary ones? Rapid response to crying and initiating social play are the 2 experiences that are the greatest promoters of attachment behavior during the first 7 months. This would normally lead the baby to develop a primary attachment bond with the person the baby experiences as most involved in these activities. This does not depend either on the location of these experiences, or whether the adult and baby are related to each other, and they don’t have much to do with the day-to-day physical needs of the baby. 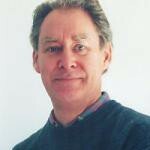 Sir Richard Bowlby, Bt, serves on Attachment Parenting International‘s Advisory Board. He is the son of the late John Bowlby, a psychology researcher best known as the father of Attachment Theory, which serves as the scientific foundation of Attachment Parenting. Sir Richard carries on his father’s work by giving lectures to both healthcare professionals and the general public on the significance of Attachment Theory in relationships. He has a particular concern about the psychological impact on babies and toddlers in daycare. The period that a baby uses to select a primary attachment figure stretches from 2 to over 12 months, with most infants making up their minds in the period between 3 and 7 months. The baby will focus on the person who is most often there for them when needed and who most often gets it right. The person who has learned best to tune in to their emotional state and gives them joy, the person most sensitive to their needs and whose behavior the baby has learned to predict most reliably will ultimately become the primary attachment figure. 0 to 3 Months — A baby is born with a number of functioning behavioral systems that will form the building blocks of later attachment behavior, such as crying, clinging, looking and sucking; and then a few weeks later, they’re smiling and babbling, as well. From birth, babies have good hearing and sense of smell, which is how they discriminate one person from another, and they respond more favorably to a human voice, to a human face and to human touch than to other such stimuli. 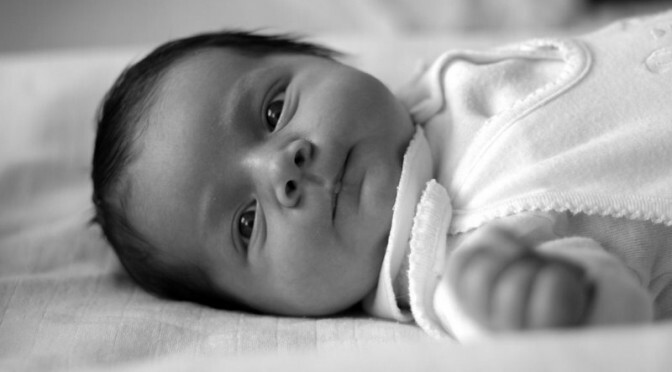 Newborn babies may develop a preference for a familiar person to care for them early on. However, for the first 2 or 3 months the infant has not developed proper attachment behavior and his attempts at social interaction are primitive. 3 to 7 Months — After 3 months, babies begin to differentiate between the people around them and they become selective about who they “socialize” with most. This period, until 7 months, is when the babies work out who’s who in their lives and increasingly select 1 person. It’s during this phase that most infants are in a high state of sensitivity for developing attachment behavior toward a “mother figure,” and her lively and sensitive response to the baby’s signals and approaches for interaction will be very important. figure, greeting her on her return and using her as a base from which to explore. Although the rather indiscriminate friendly response to everyone else diminishes, certain people are selected to become secondary attachment figures. The beginnings of attachment behavior may be delayed until after the first birthday in some babies who have little contact with their main attachment figure. The more readily the mother responds to his cries and the more interaction she initiates, the more strongly her infant will tend to be attached to her at 18 months old. But there are other important interactions. For instance, when an infant is distressed, bodily contact seems vital, whether it’s to soothe a crying infant during the early months or, when he’s a bit older, to comfort him when he’s frightened. attached to father than to mother. secondary attachment bonds are a great safety net for a child if anything should befall their primary attachment figure or if they become emotionally or physically unavailable. relationship is usually longer than with parents, grandparents, nanny or even a partner. Family bonds, whether primary or secondary, can be a great support and last over several generations, especially if regular contact is maintained. A particular case in point is twins, with identical twins — and especially conjoined twins — well known for their intense and often devoted lifelong bonds. Children only have a limited amount of resilience, and making new secondary attachment bonds only to have them broken again is very troubling. However, with care and discretion, it’s not too difficult for a child to separate from a secondary attachment figure — certainly far less difficult compared to separating from a primary one! 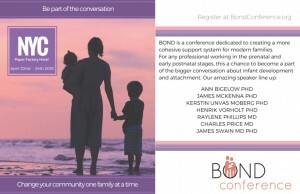 But the more often any attachment bond is broken, the harder it becomes for the child. However valuable secondary attachment figures are, the child will have a unique emotional intensity with their primary attachment figure throughout their life. The decisions of how to use this knowledge, I leave up to you. I cannot pretend to make your decisions easier, but I think we must give proper weight to this scientifically rigorous body of research work when we consider care arrangements for very small babies and young children. The purpose of AP Month 2015 was to add to growing national and global discussions on the importance and logistics of paid parental leave following the birth of a new baby. We focused on the critical need of presence in a child’s life, beginning at birth and especially in the early weeks and months when bonding with baby should take center stage and yet is so often thwarted by the financial need of parents to return to work. We feel we met our goal of getting parents talking and thinking about how they can best balance their child’s attachment needs and their financial obligations and career aspirations within individual families. We hope that our work has also helped to raise awareness of the importance of maternity and paternity leave in communities, workplaces and policymakers’ circles that will eventually translate into universal paid leave time to benefit all families despite their socioeconomic status. Lamaze is a nonprofit organization that promotes a natural, healthy and safe approach to pregnancy, childbirth and early parenting. Knowing that pregnancy and childbirth can be demanding on a woman’s body and mind, Lamaze serves as a resource for information about what to expect and what choices are available during the childbearing years. Lamaze education and practices are based on the best, most current medical evidence available. They can help reduce the use of unnecessary interventions and improve overall outcomes for mothers and babies. Working closely with their families, health care providers and Lamaze educators, millions of pregnant women have achieved their desired childbirth outcomes using Lamaze practices. We are William Sears, MD, and Martha Sears, RN. Most folks just call us Dr. Bill and Martha. After raising 8 children and practicing pediatric medicine for more than 30 years, we have answered questions from thousands of parents. Millions more have sought our advice through our 40-plus pediatric books. How did all of this come about? Because we’ve always loved kids. 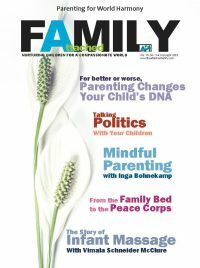 Founded in 1976, Mothering Magazine was integral in the development of the modern natural family movement. Today, Mothering.com is the largest online destination for parents interested in exploring natural and eco-conscious living — including birth and medical choice, breastfeeding, attachment parenting, gentle discipline, educational alternatives, healthy eating and green products. Providing cutting-edge inspiration, perspective and practical advice for nearly 40 years, Mothering empowers parents to make informed choices that honor the unique needs their family. 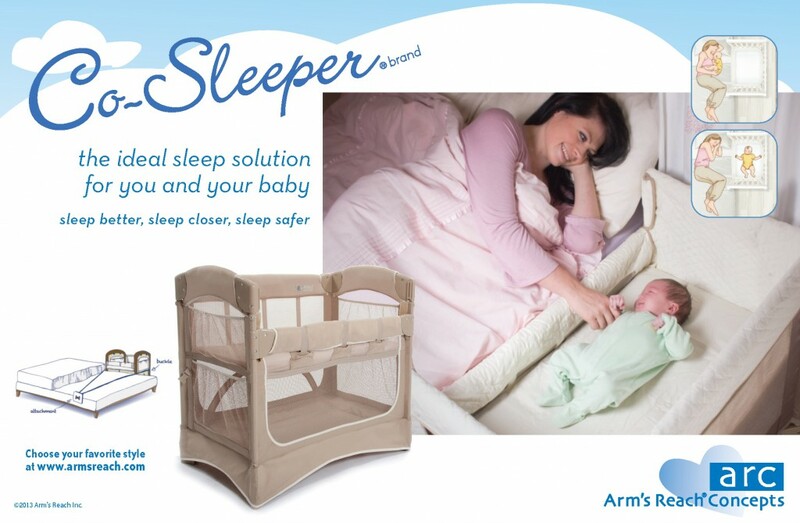 The Arm’s Reach Co-Sleeper brand bassinet is a unique creation that began with a mother and father’s need for a safe sleeping environment for their baby. They, like many parents, had rediscovered the benefits of cosleeping with their infants — increased bonding, ease of feeding and a greater sense of closeness — yet were concerned modern beds weren’t appropriate for a baby’s space. They solved this problem by placing the child at the side of the bed — literally within arm’s reach! Their result is a wonderful series of bassinets that keep babies close to their parents during the important early months of development, whether you choose to breastfeed or bottle-feed. 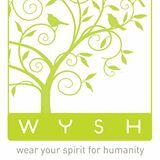 WYSH was founded in 2009 by Lu Hanessian, grateful mom of 2 boys (her muses) and giddy bride of one swell guy she’s known for half her life. WYSH is founded on the science of connection, relationships, engagement, curiosity, positivity, mindfulness, growth and well-being — based on 9 pillars for optimal, mindful living both with ourselves, in relationship and the world. When we live aligned with our personal and collective needs values, we embody and share the full expression of who we are with others. Families for Conscious Living (FCL) is a 501(c)3 national nonprofit whose mission, since 1996, has been to provide education and support to parents who wish to make compassionate, sustainable and conscious choices for their families. In a modern, industrial society, conscious living choices, especially for families, is considered counter-culture and even radical. 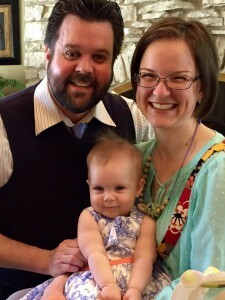 However, over the past 20 years, FCL supporters have watched as homeschooling and home-birthing families — marginalized at best and jailed in some U.S. states — have now been accepted, not only as a needed alternative to industrial approaches to education and childbirth, but as pioneers of human development. Infant Massage USA is the U.S. chapter to the International Association of Infant Massage and was founded in March 2005. Our mission is to promote nurturing touch through training, education and research so that babies, parents and caregivers are loved, valued and respected throughout the world community. parents can bring their children to work and care for them while doing their jobs. Pardon us for bragging, but we are the oldest, largest and most respected doula association in the world. Our founders are among the foremost experts on doula care, and DONA International certification is a widely respected measure of quality and professionalism. We are an international, nonprofit organization of doulas that strives to have every doula trained and educated to provide the highest quality and standards for birth and/or postpartum support to birthing women and their families. To that end, we promote continuing education for doulas and provide a strong communication link among doulas and between doulas, families and the medical birthing community. For more than 4 decades, parents have met with Dr. Haiman to resolve child- and adolescent-rearing problems. He has provided individual counseling and/or psychotherapy to adults and adolescents over the past 50 years. Dr. Haiman has served as a child custody expert witness to courts and provided child custody advice for parents involved in divorce. In child custody divorce cases, he provides competent psychosocial developmental knowledge that can be applied to the individual child and family situation. In particular, he specializes in promoting child custody attachment parenting and aiding with child custody visitation. Science is Dr. Palmer’s first love and continuing inspiration. Prior the birth of her son, Dr. Palmer ran a successful chiropractic practice for 11 years, focusing on nutrition and women’s health issues. With the birth of Dr. Palmer’s son in 1995, her usual passion for research turned toward infant health and parenting, leading her to lead attachment parenting groups for 5 years and then to write 3 books, including her latest, Baby Poop. Our challenges in providing parental presence in the early years are but moments that we will remember fondly and that help shape our child’s perception of what love is. 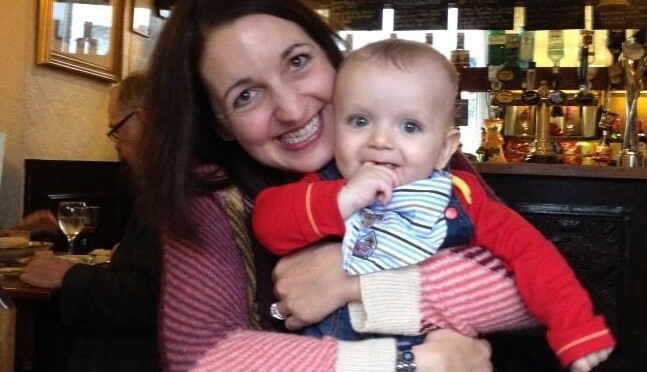 Yvette Lamb writes for APtly Said, the blog of Attachment Parenting International. She lives with her son in the United Kingdom. Children must go through almost a million phases, particularly in the early years. Sometimes I could barely get used to my baby’s latest pattern before he had moved on to a different one! Some phases — especially regarding sleep, settling, behavior or needing more attention than we are able to give — can feel never-ending at the time. But of course they do pass, all of them. And when we look back at testing moments — at days that seemed to stretch on forever — we mostly remember them differently: fondly, with love. They are just moments after all…moments that will pass…moments that become memories sandwiched in our hearts, reminding us how much our children have changed and grown — and how we have, too. My son is only 2 years old, but recently I have found myself starting so many conversations with my husband with the words, “Do you remember when he used to…?” It might be about him refusing to sleep anywhere but on us or only at the breast or when rocked for at least 30 back-aching minutes, or cluster-feeding him every evening, or how he used to cut up my dinner so I could eat it with a spoon. We told him about some of these memories this morning as he sat dawdling with his breakfast, smiling ear-to-ear at the little person he used to be but can’t remember. I do acknowledge that, back then, it didn’t always seem like much fun. I sometimes felt like I was living in a state of constant exhaustion, almost afraid of the baby I had made but didn’t understand. And yet, though I haven’t forgotten this, I know it was how early parenting had to be for me, for him. The rocking, the feeding, the tiredness, the uncertainty — it was necessary for me, and it was mere moments in the grand scheme of raising our boy. We built foundations. We learned to adapt. And also to eat one-handed and survive on mere crumbs of sleep. And now there are other phases, other challenges. There’s daycare and separation anxiety. There’s fussy eating and kicks at diaper changes. Any gentle suggestion he go to sleep without us, or with us sat near but not practically inside his cot, are firmly and loudly rejected. We are not going to leave him when he doesn’t want us to. But it can be difficult. We are always tired from our day by this point, and we want to have our dinner and unwind, not to mention finish any necessary jobs before our own bed calls. Sometimes after I’ve been on bedtime duty, I practically stagger down the stairs, disorientated from an uncomfortable 10-minute sleep on the floor or grumpy with hunger and the weight of the things I had planned, but will not get to do, for my evening. I have witnessed much of the same from my husband. But last night I realized that my stress and concern over this current issue is completely misguided. We won’t still be doing this in 5 or 10 years. I know we won’t. Perhaps with some gentle encouragement or perhaps completely naturally, our son will learn to fall asleep without us near. Right now, though — in this moment — he needs us. He needs us until the day he doesn’t any more and all we have left is the memory of his slowing, rhythmic breathing and occasional checking of our presence through the brushing of his tiny, soft hand against ours. Despite the practical downside, these moments are beautiful. He is our wonder, our masterpiece. He wants to be with us — just for a little longer — and really, how is that anything short of wonderful? So although moments like these — when our children need almost more than we are able to give — can be frustrating and challenging, they are just moments. And when we tell our son about this particular phase in a few years, when his oh-so-grown-up exterior refutes our claims of him needing us, there will be no frustration attached. The desperation to get downstairs and eat dinner will have long since passed and we will be left with just the good parts: the closeness, the being there, the love. We will remember these moments, even though he will not. But what I hope he is left with is a warm glow of being loved, of feeling love, of knowing love — for him — when he needed it. Just 12% of American workers are offered paid family leave through their employer, according to the Bureau of Labor Statistics — while other developed countries offer as much as 1 year of leave to care for a child. Stephanie Carson is a journalist with the Public News Service for Tennessee, USA. While that is shifting here among a handful of private- and public-sector employers, Kelly Johnson, coordinator of AP Month 2015 for Attachment Parenting International (API), said there’s a need to change the attitudes of the American workforce. Tennessee’s parental-leave law gives eligible employees up to 4 months of unpaid leave for adoption, pregnancy, childbirth and nursing an infant, but they have to work for an employer with more than 100 employees. Parental leave laws vary by state. 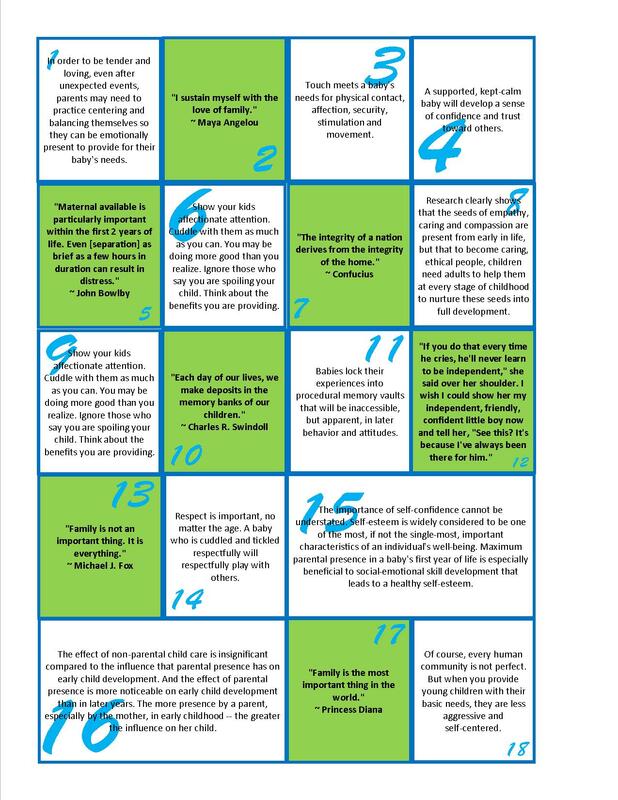 API highlighted the importance of parental presence in the life of a young child during AP Month in October 2015. Increasing access to paid leave is part of their effort to enable parents to shape the life of their child and nurture the bond that will benefit them both as the child ages. Paid family leave has been shown to benefit employer, too. ccording to the Center for Economic Policy Research, about 90% of California businesses say parental leave either had a positive impact or no impact on profitability and also helped reduce turnover. When employees are able to fulfill responsibilities at home, Johnson said, they are better able to do the same at work. Beginning in 2015, federal employees were given the right to take 6 weeks of paid leave when they became parents. California, New Jersey and Rhode Island each have paid family-leave programs. Attachment Parenting International (API) advocates knowledge and practices that value and maximize parental leave, recognizing parental presence with a child fosters early secure attachment and benefits families, businesses and societies. Artimesia Yuen is the KnowledgeBase Coordinator for Attachment Parenting International (API), Editor of the Journal of Attachment Parenting, member of API’s Board of Directors and an API Leader for API-NYC in New York City, USA. She lives with her 2 children and husband in New York City. For more than 20 years, API has been working to spread the knowledge that early secure attachment and consistent and loving care are vital to infant development and well-being. API not only brings this research to families, communities and professionals, but has also developed API’s Eight Principles of Parenting and accredited networks of local, personal support that helps sustain healthy parenting and care practices. On occasion, we see a post circulating the Web about the cash-value of stay-at-home parents if they were paid the going rate for their hours “on the clock” and for the multiple, often-simultaneous roles they play, from “facilities manager” and “counselor” to “janitor” and “teacher.” According to one such post at Salary.com, the average stay-at-home parent is worth an annual salary of nearly $113,000. 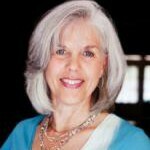 Rita Brhel, CLC, API Leader, is the Editorial Director/ Publications Coordinator for Attachment Parenting International (API) and the Managing Editor for The Attached Family online magazine and APtly Said blog. 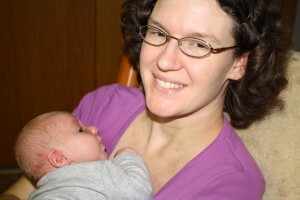 She also writes for Mothering among other publications, and is a WIC Breastfeeding Counselor. She lives with her 3 children and husband near Fairfield, Nebraska, USA. These types of analyses are meant to raise awareness of all that stay-at-home parents do, but they can also undermine the value of parental presence by underlining the fact that being at home doesn’t pay — well, not in terms of a paycheck. But what Salary.com and other articles completely miss out on when bringing to light the worth of parental presence is that a parent’s choice to balance working outside the home with prioritizing the child’s attachment needs — which very much includes presence — is not so much a choice in lifestyle as it is critical to a child’s healthy development. The parents who choose creative — sometimes career-sacrificing — options to be able to stay at home longer with their baby, or children, are not making that choice lightly. They know and understand their child’s needs, the consequences of their choices and the alternatives, in every sense. Whether working outside the home or not, these parents understand that a parent’s presence is not a privilege for that child — it’s a necessity. Parents who make the choice to stay at home with their baby longer — choosing not to work, flex time, part-time, from a home office, working opposite shifts of their partner, bringing their baby to work with them, changing jobs or even careers, and so many other possibilities — need support. They need encouragement to continue with their personal goals of providing parental presence. They need validation of how hard their choices were and of the challenges they’ve encountered because of it — perhaps financially, but likely more socially as it can be difficult to find others who can relate. They need people who’ve been there, done that — and came out the other side for the better. Parents who are striving to balance financial/career needs with their child’s attachment needs — we celebrate you! We hope you now understand the incredible value of parents’ presence in the early weeks and months after the birth of a baby — that being home with a newborn is not simply a nicety, but a critical component of the budding parent-child attachment. The United States is one of the very few developed nations in the world that does not offer universal paid leave to parents. While there are select employers who are beginning to offer paid maternity and paternity leave to some employees, this practice is inconsistent at best and certainly not the norm yet. The vast majority of new parents who wish to take parental leave — which is protected by law for up to 3 months for the first year of a baby’s life — must do so, in many cases, without pay. Every woman’s path to motherhood is different. Every mother has a different story leading up to the birth of her child, and therefore every mother’s interactions and connection with their child will look different. This is what my story looked like just prior to the birth of my daughter: I did not think I was capable of loving my daughter in the manner that other moms love their young. This doubt did not originate from perinatal depression, nor was it a result of me being a “cold” woman. This doubt is my life story, my learned schema: thoughts that have run through my head and scorched my heart since childhood. I learned to doubt myself from my mother. Will I ever be good enough? No, I didn’t think I would. My mother was not capable of loving me in the same manner that most mothers love their young. She suffers from a mental illness that negatively affects her insular cortex, making it very difficult for her to feel empathy and to nurture anything. 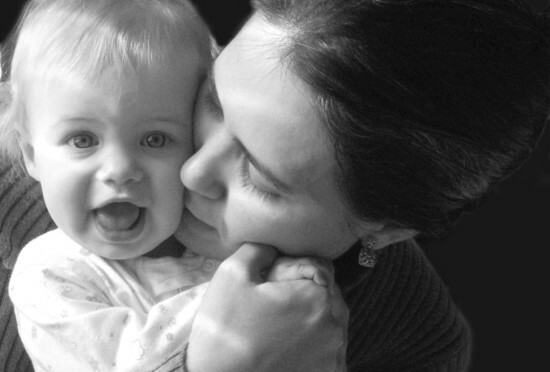 If I did not have a secure attachment with my mother, how could I have one with my own child? I was positive I could not. Therefore, the plan was for me to return to work soon after my baby was born, and my husband would stay home with our daughter and lovingly care for her. Of course, when I told people our plan, I never admitted my deep feelings of self-doubt. I never said, “I am pretty certain that I will be a crummy mom, so I am leaving it up to her dad to take care of her.” This would have sounded ridiculous to my peers and friends, mainly because I was a marriage and family therapist who specifically enjoyed working with children. Then my daughter was born. Her eyes were fresh, and behind her eyes was trust — trust that only comes from an infant gazing into her mother’s eyes upon entering the world. 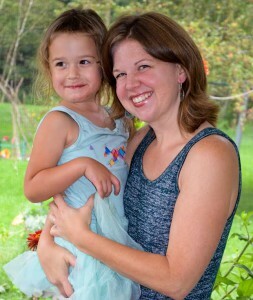 This nursling trusted me with her life, and I wasn’t going to allow her to grow up with the same self-doubt and empty heart that ails me to this day. I needed to stay home with her and ensure our bond was secure. My heart could not take it otherwise. I also needed to stop a legacy of abuse, violence and neglect that has inflicted my maternal family for generations. I was not going back to work 4 weeks after my daughter was born. Almost 5 years later, I still stay at home with my daughter. I missed my work over the years, but once I became an API Leader just before her fourth birthday, that part of me was fulfilled once again. Some people have told me I am extreme, yet they do not know my story. They don’t understand why I take attachment seriously and why I see a strong need for a cultural shift. They can’t see into my heart. My heart wants my daughter to cosleep with me. When she curls next to me in the morning, I can easily smell her sweet scent, and I savor it for what it is. My heart wants my daughter to continue to nurse. I can still gaze in her eyes and catch a glimpse of the magic behind a 4-year-old’s brain. I savor the oxytocin rushing between the two of us. She still stays home with me, because my heart tells me she should. When I overhear the inner thoughts of her imaginary world, I am in awe. I savor the joys of being 4! I still carry her from time to time, because my heart swells as she snuggles her head into the crook of my neck. I rest my head against hers, and I savor the trust between us as we sway. I am kind to her, and strive for balance within myself, because my heart knows she deserves it. Giving presence to my child has healed my heart, and will ensure that my daughter’s heart will not require the same healing as mine. My hope is that her story will resemble that of a cardinal’s song on a cold winter morning — piercing the heart of those she loves and carrying her far and wide. I know that every mother has her own story to parental presence. This is my story. I live in Brazil. My wife and I have 2 little boys: Dante, almost 3, and Gael, a 6-month-old baby. 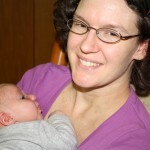 Right after my first son was born, I discovered Attachment Parenting. It made so much sense to me that it inspired me to become an API Leader. 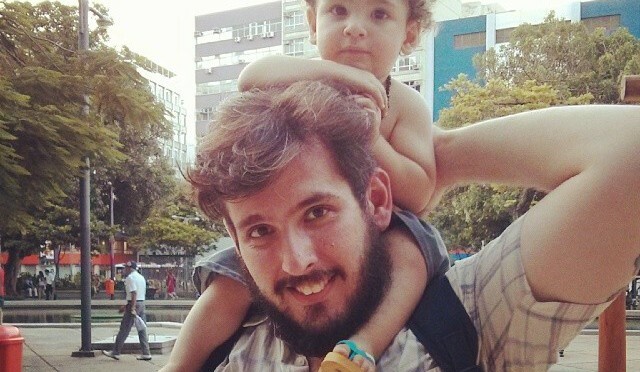 Brazil’s parental leave is pretty embarrassing. Mothers get to stay at home for 5 months while fathers get to stay at home for 5 days. My wife decided that even if she looked for work after her leave, she probably wouldn’t even make enough money to pay for childcare, so we decided she would postpone her return for a while, until both kids are in school. She’s planning to start grad school soon, and from there, she will decide which route she will take for her career. As for me, I took a 30-day vacation to add onto the 5-day leave, but then I had to get back to my full-time job. 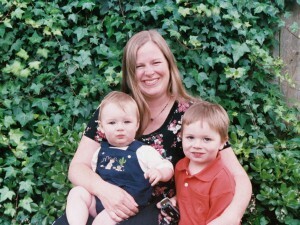 Still, Attachment Parenting helps me every day to be a present father. I obviously can’t give birth or breastfeed, but I can foster the secure attachment I want to build with my sons through a whole lot of other actions. I can listen to my child’s cry and take his needs seriously, especially because a baby cries not only because he is hungry but also scared, too cold, too hot, tired, hurting or anything else. I can also carry my son in slings and cosleep next to him at night. Everything I learn about Attachment Parenting helps me understand my role as an involved father, not a mere helper. Being a father is way beyond just performing tasks and helping out. It is all about care-giving. I could do like other men and delegate the responsibility to the mothers and other caregivers, but Attachment Parenting shows me how I could take responsibility instead. I participate in understanding how the behavior of my kids reflect their needs and feelings. I get to genuinely help my older son get through frustration and temper tantrums. Personally, the greatest thing about Attachment Parenting is that it helped me to find my way in my own parenthood. 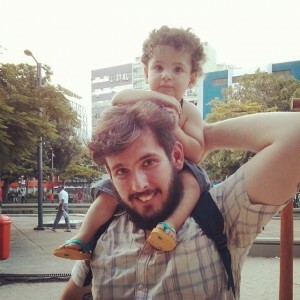 Attachment Parenting helped to show me how I could be the father I wanted to be. Before becoming a mother, I worked a number of various part-time, “day jobs” while also teaching out of my home and singing professionally in a few choruses and at a church. My vision for balancing work and motherhood was that I’d quit all the “day jobs” and only work as a musician. My husband teaches at our local community college and has the flexibility to determine the schedule for his classes each term. He’s naturally a night-owl, so he’d always set his work schedule to be from about 12 noon-8 p.m.
My daughter is now 16 months old, and it’s taken us that long — through trial and error — to realize that my husband’s work schedule needs to change so that he’s available earlier in the evening. This way, he can be the primary the caregiver when I’m in rehearsals and concerts. It’s a work in progress, but we are getting there! Currently we have a babysitter or a family member help between the time when I have to leave for my work and the time when my husband gets home from his work. It’s important to us that I am able to continue to sing professionally — and to have him be the primary caregiver when I’m away. A year or two before I became pregnant, I started teaching private voice and piano lessons from home with the vision that I’d be able to continue working from home without concerns for childcare. I’m very happy to say that my daughter loves listening to my students’ lessons, and it’s been fairly easy to balance caring for her while teaching. It’s nice to have a job where I am able to continue to contribute financially to our family, and also have my daughter right there with me. Reflecting upon my postpartum period, I realized that I went back to work too early. I went back after 6 weeks, thinking that’s what was standard. Since I’m self-employed for all my jobs, I can determine my own maternity leave — all of which is unpaid. For my next baby I think I’d be ready at something more like 12 weeks, if we can swing it financially. Not only was my body not ready at 6 weeks, but I wasn’t emotionally ready to be away from her and — I’d say, most importantly — my baby wasn’t ready to be away from me. She had a very difficult time and so did her caregivers. Each child’s temperament is different, so my next child may need something else completely. For my own sake, however, a longer maternity leave would do me good. The way of a musician’s work is usually a patchwork of income from multiple jobs. It’s unconventional, but it’s what I’ve always known so, to me, it’s normal. I teach from home 3 afternoons a week, and sing at a church on Sunday mornings and in multiple professional choruses at varying times. The irregularity of the chorus work is the most challenging aspect of balancing my work and family obligations. Sometimes I have rehearsals once a week, sometimes every day and sometimes I don’t have anything for a few months. I’m very thankful for my husband who is understanding of my work and can be flexible with his schedule. We also couldn’t do it without our family members, friends and babysitters who have filled in the gaps. It really does take a village to raise a child. When I was pregnant with my first child, I was a social worker in the foster care system. I had recently earned my master’s degree in clinical psychology and was on track to become a marriage and family therapist (MFT). I was working for a nonprofit, which predictably didn’t pay a lot, but it did provide me with a supervisor who could sign my log sheets, getting me closer to my 2,000 hours so I could take the licensing exam. After only 4 months at the agency, I learned I was pregnant. I knew I would not want to go back to work there, since the commute was too long, so I did the responsible thing and informed my employers and clients that I would be resigning near my due date. Unfortunately, this disqualified me from receiving the only paid leave we had in California at the time: state disability leave. I was annoyed that I was being penalized for doing the right thing, but fortunately, my husband made a good income in Silicon Valley, so my integrity didn’t hurt us too much in the wallet. We estimated that I could take 7 months off before finding a new job nearer to our home. When my boy was approaching 7 months, I found a daycare center after — I admit — not much research. 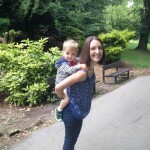 I did what many mothers do, taking him there for a few hours at a time, a couple of days a week to get him used to it while I started looking for a job. Well, I didn’t find a job, and he most emphatically did not get used to it. He cried and needed to be held most of time. I found it hard to pump enough milk for him. After a couple of months, the director let me know that they would not be able to meet his needs. My husband and I decided that we should keep him home for the time being, and I could look for work again in a few months. I did continue sporadically to look for work, but I didn’t ever put him in daycare again. When he was 18 months old, I learned I was pregnant again. At that point, I did the math and realized that if I went back to work when the new baby was 1 year old, even logging the maximum number of allowable weekly hours, I wouldn’t be able to get the 2,000 hours in the 6 years allotted since I had registered as an MFT intern. I had fallen off the therapy wagon. I had been an advocate for children since college. My plan had been to help adults process their childhood traumas and find healing. Now I was changing my perspective. As a parent, and as a member of Attachment Parenting International, I was seeing that many childhood traumas could be prevented through secure attachment with better-informed, better-supported parents. Though I still believe that therapy is an important part of preparing for parenting, there are many therapists who can help. I reflected that the foster parents I had worked with were told that they could make a huge difference in the lives of the children in their care by allowing the children to bond to them, but we did not tell them how to do that. I remembered learning about attachment in college — noting that psychologists, social workers, and a whole range of researchers and professionals in the child-development field knew about Attachment Theory, the protective power of a secure attachment and the specific parenting behaviors that built a secure attachment, but that knowledge was not making its way to the public in any significant way. I decided that focusing on parent education and support as a volunteer API Leader was how I wanted to spend my energy. It would not make me any money, but it would allow me to make a positive impact on my community and be where my kids needed me: with them. Fortunately, we were able to stretch my husband’s income much farther than we originally thought. Although I did not contribute money to our equation, I was able to spend much less than I would have if I had gone back to work. First, I wasn’t paying for childcare. As my children got older and more comfortable with being without me, we started having playdate childcare trades with a few families we knew from our API Support Group. Not having a job also allowed me to spend less money on gas, food, clothes and other expenses — like a better breast pump. I did other in-kind trades; for instance, I did childcare once a week for my Jazzercise monthly pass. As the kids grew to preschool age, I enrolled them in a co-op preschool, which was much more affordable because I assisted in the classroom one day a week. Then I found an excellent alternative public school where parents were expected to volunteer on a regular basis. My husband had started talking about private schools soon after our kids were born, so I count this as a major savings that my being home afforded us. After several years, my API coleader decided she wanted to follow her dream of opening an educational lending library, and I wanted to take my education and training and become a parent educator, teaching attachment-focused parenting. We tried to find members to take over the leadership, but when none came forward, we regretfully closed the group. I spent a year or so procrastinating on writing my curriculum — well, I did have 2 kids keeping me busy — then I learned that API’s cofounders had written a parenting curriculum! So I started on the road to becoming re-certified as an API Leader, opening a new API Support Group and building infrastructure and awareness of Attachment Parenting in my community. When the cofounders presented a training in Los Angeles, I jumped at the chance to take the next step in my plan! I learned so much about meeting parents where they are and giving them evidence-based information about what children need for optimal development — that nevertheless often runs counter to the cultural norm. Meeting API Cofounders Barbara Nicholson and Lysa Parker, and other API Leaders as well as other helping professionals, was very inspiring. I am excited to be poised to use the workshop format to reach parents-to-be and parents of young children in my community. I believe that learning about the importance of secure attachments and API’s Eight Principles of Parenting will make a difference in the lives of many families, as it has in mine. My two sons are in middle school and high school now. I know that I am very privileged to have been able to stay home with them this whole time. My volunteer work for API, as well as at my kids’ schools, has allowed me to feel belonging and significance — to borrow a phrase from positive discipline — while balancing my work and family life with a degree of control that is not affordable to many. The API Support Group that I started 5 years ago, Monterey Bay Parenting, will always be free for anybody who wants the information and support, because that’s how we roll at API. However, I will soon be able offer “Attached at the Heart” workshops on a tuition basis. This will make my husband happy, especially since he’s still paying off my college loans! It will also allow me to set my schedule so that I am there for my kids when they need me. As teenagers, they need to stretch their wings and feel their independence, but they also need connection and guidance as much as they always have. Before I became a mother, I would have identified myself as a career woman. I was a journalist who worked 50-plus hours a week, never missing the opportunity to take on the next big story. I was eager to climb the career ladder, with aspirations to manage my own news organization someday. I lived for praise from my editor and readers, and I was constantly on the lookout for a better-paying, more prestigious position. Like many young professionals, I was in a hurry to “prove” myself. Then I became pregnant with my daughter Rachel, and I began to feel a tug in my heart. As I planned my maternity leave, I still thought that my life wouldn’t change nearly as much as it did. I thought that I would take off a few weeks from work, then put her in daycare and go back to my journalism job. The only difference is, I thought, perhaps I’d cap my hours at 40 per week and limit any overtime. Rachel was born 10 weeks early due to a placental abruption. As I lay on the hospital bed, hooked up to an IV of magnesium sulfate so potent that I had to be on oxygen during the treatment, watching my baby’s heart rate bounce up and down on the monitor beside my bed, wondering what would happen to her, I had a thought: that what had defined success for me, up to that moment, doesn’t nearly measure up to what it means to be a mother. And what my daughter needed, and still needs 9 years later along with her 8-year-old sister and 4-year-old brother, is a mother who is devoted to her role as a parent more than to her career. Three months later, after my paid maternity leave, I asked to meet with my editor and told him that it was critical to me that I be allowed to work from home. It is true that my premature daughter was still dealing with major health problems, but the bigger reason for my request was because I felt that neither she nor I were ready emotionally for separation. He declined, and totally unlike my people-pleaser nature, I quit that day. I decided to do freelance-writing from home. It has worked out well. I don’t make the paycheck I did before I had children, but between my husband and myself, we make enough money — and save enough through our financial management — to live comfortably. It has been a little tricky to figure out how to financially float my parental leave after the births of my second and third babies, considering I am self-employed and don’t have the option of paid leave. But I am happy with my choice to balance my children’s attachment needs and my family values with our financial needs and my career path, and know that as my youngest child grows beyond the critical early childhood years when attachment needs are strongest, I can always choose to go back to working outside the home if I want to. I no longer live for my editors’ and readers’ praises. I live for time spent with my children. I don’t care about accumulating possessions, but rather memories with my family. The social gatherings that matter most to me are playing or cuddling with my kids. And instead of looking to the next rung on the career ladder, I focus on how to have a stronger, more secure attachment with each of my children and my husband. I know that not everyone can, or wishes to, quit their jobs to stay home with their children, but I urge everyone to be mindful of how they can best balance their child’s attachment needs with their career aspirations and financial obligations. If you choose to continue working outside the home, understand that Attachment Parenting can be crucial for dual-income families. API’s Eight Principles of Parenting provide a road map for establishing and maintaining secure parent-child attachment for all parents, but parents with limited daily time with their children report that Attachment Parenting is especially necessary to keep their close family bonds. The research fully supports this.